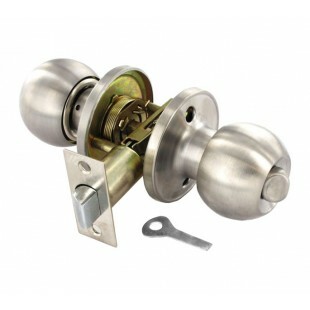 Privacy door knob for internal doors. They feature a privacy thumb turn on the knob for inside the room to lock the knob and prevent the knob from being turned. The knob on the outside of the door encompasses an emergency release key slot (emergency release key is supplied). These stainless steel privacy lock door knobs have a luxurious finish which adds a high quality finishing touch to your doors. 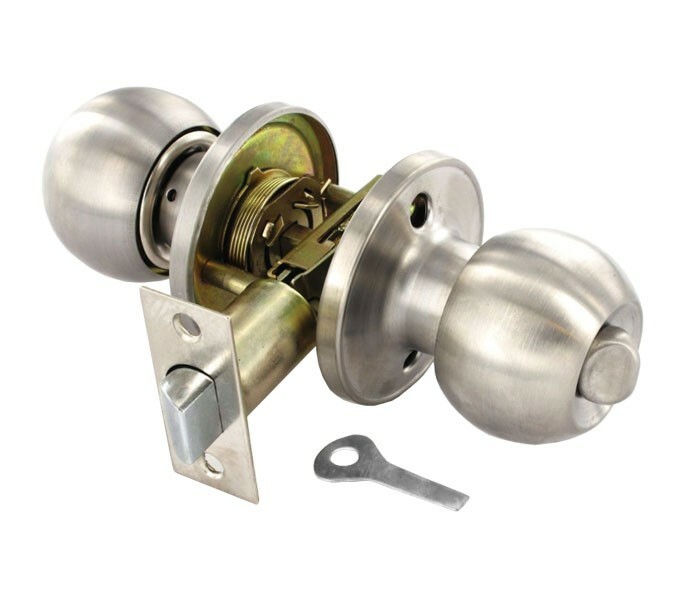 This privacy door knob set includes two door knobs, a mortice latch, spindle, screws and bolt through fixings along with all the accessories you will need. The latch is adjustable to create a backset of between 60mm and 70mm. The overall projection of the knob is 62mm, the diameter of the rose is 65mm and the knob has a diameter of 54mm.